How Freshers Can Ace Interviews For Business Analytics Roles? Home Business Analytics How freshers can ace interviews for Business Analytics roles? Campus interviews can be very competitive, especially so, if you want to secure a job with the best companies. Further, if you are a fresher, the experience of giving interviews can be unnerving at times. The combination of these factors can make even the best analysts falter when being top of the game matters the most. How do you ensure that you excel in campus interviews? 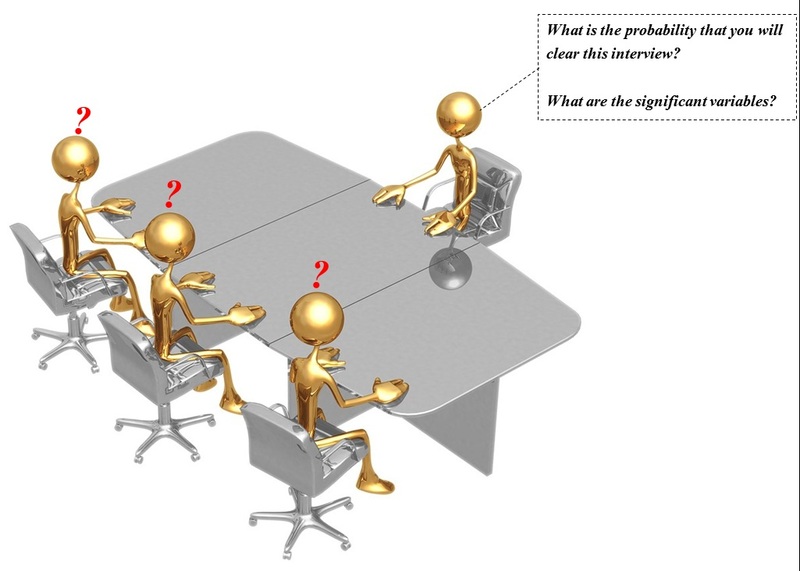 First and foremost, how are analytics interview different from other interviews? Hence, they differ in design and assessment compared to other interviews. In order to test these skills, companies rely on case studies, strategic / analytical role play, puzzles and aptitude tests. The pressure to get your first job could be immense and hence it makes sense to be fully prepared for what you are likely to face. Your preparations should begin at least 3 – 4 months before your placement season starts. You need to prepare and train just like an athlete does for his / her competition. CV should ideally be 1 pager, maximum 2. Highlight the impact of your projects, internships and contributions through numbers. How much profit did the company make because of your contribution? What was the impact of your internship? Once completed, get the CV reviewed by some of your Seniors to make it flawless. Revise MBA concepts and frameworks: If you are passing out of a B-school, this should not take any extra effort. However, if you are a non-MBA graduate, go through and understand some of the common business frameworks. Some of the famous ones are 4Ps, 3Cs and Porter 5 forces. Keep special focus on frameworks which can have numerical part (e.g. Profit = Revenues – Cost). While there is no need to memorize these frameworks, you need to apply these frameworks to solve business problems. Solve Case studies: If you are a non-MBA graduate, get some of the B-school case studies and apply the frameworks mentioned above to solve these case studies. I would suggest smaller case studies (which can be completed in an hour or so) rather than elaborate ones. Also, don’t ignore the numerical part of these case studies, it is as important as strategic thinking. Spread these case studies over days rather than doing all of them in a go. Form an interview group: A lot of these activities are best done in groups. You can ask your partners to take a case interview, perform a role play, pool puzzles and case interviews etc. Needless to emphasize the importance of right group here. Try and get people from diverse background but common aspirations. Pool interview puzzles and solve them: Arrange as many interview puzzles as possible and then solve them with your group. Discuss them and see if you can find a shorter way. What could you have done better to reduce time? Solve aptitude tests: Taking up aptitude tests which score you on logical reasoning and numerical skills is the best way to brush up your numerical skills. They not only simulate a possible round of interview, but also create an environment of pressure. Finding and taking mock CAT and GMAT exams could be a good way to do these tests. Finally, get into the routine: Your mind needs to be on top of its productivity during the interviews. If the interviews are expected in evenings or over the weekend, solve your case studies and perform role plays during same time. Try and simulate similar environment so that you are at home on the final day. Take good sleep the night before: On the night before, take a sound sleep. If you have not read or prepared some thing yet, there is no point of preparing it now. Your mind should be in its best productive state during interview, so a night out or late night coffee would not help. Dress up comfortably: Wear the dress you are comfortable in. If the shirt is tight, change it (but keep it ready in time). Reach the venue before time: There is no point in creating hassle in your mind by getting late or rushing at the last minute. Plan your time for commute, keep buffer for traffic jams and reach the venue with a relaxed mind. Focus on framework & interpretation of numbers: For case studies and role play, focus on the approach and framework. The interviewer would be interested in your framework and strategic thinking. Numerical accuracy is important, but not the most important thing. Also, try and interpret the numbers thrown at you. Is the cost higher than revenues? Is the company making operation loss or profit? Be honest and call out assumptions: One attribute every manager wants in his analyst is honesty and integrity. No one expects you to know solution to every problem in the world. So, if you don’t know the answer, say so. If you are making assumptions, say so. There is no point in bragging about something you don’t know. Think out Loud: In evaluation of case studies and role plays, your problem solving approach has higher weightage compared to the actual answer. Hence, it is important that you always keep interviewer up to date with your thought process. As a good practice, layout the approach in front before actually proceeding with the case study (or a part of). So, even if the answer is wrong, interviewer understands that the approach was right. Take notes / solve the case by laying out things neatly on paper: One of the best ways to make sure you follow a framework is to lay out things neatly on paper. For example, if the question is to see how a company can become profitable, I would say that the company has 2 options: Reduce cost or increase revenues. Then I’ll divide the paper in 2 half and list down various levers for each part accordingly. You can then discuss each lever. This not only ensures that a framework is followed, but also that you look at the holistic picture. Ask questions whenever you can: If you are not clear about any thing, ask! There are times when questions are kept vague deliberately. It is to test how do you deal with ambiguous situation. Towards the end of the interview, ask questions which can help you understand the role better. What is the role? How does a typical day or week look like? What is the profile of people in team are some good questions you should ask if you don’t know the answer to. Do these preparation sound over-whelming? They probably are. But, I can assure you that if you follow these in disciplined manner, you will ace through the interviews and reach your dream companies. The more you practice these, the better you will become in clearing interviews with flying colors. As usual, if you have any other tips, feel free to add them in comments below. Common data preparation mistakes and how to avoid them? Will u please suggest some good websites/web links from where we can practice small case studies, the kind of case studies u were referring to? Website of Capital One has one case study. There will be multiple case studies if you search for “Ace the Case”. These will typically be for Management consultancies and not Analytics roles. You should look at guess-estimates in this collection. Also, would recommend that you subscribe to our emails as we have a few articles in pipeline on this topic. So…stay tuned! As a fresher, I am applying to a lot of analytics startup. There are a lot of guides on the internet, which are confusing. Some say a fresher, we need stats and puzzles to be done. Some say to complete Case studies. R or SAS is also recommended, to know? If a 2014 graduate is looking for a start, which roadmap will help. I think you are mixing 2 problems – one is how to crack an interview, and the other is what is required in your job. I will surely practice more case studies and brainteasers as interview perpetration. Also will be doing basics of modelling and get hang of R for startup interviews. Thanks again for the advice, will be hooked up to analyticsvidhya for more study guides and new start-up employment news. As advised, I completed the course in EDX named The Analytics EDGE. As I am applying to startups for analytics interviews, where should I prepare for them and what should I prepare, especially when I have done some course on R and analytics. What I need to revise and read further. Hi, Is BE in BIO medical eligible to apply for Full Time Post Graduate Program in Business Analytics. This depends from program to program. Some of them might consider you as eligible, while others might not. If you can be more specific about which program and institute you are talking about, I might be of more help. i am planning to take analytics course from Niit . kindly suggest me. Right now i am working in IT support.